Govt. 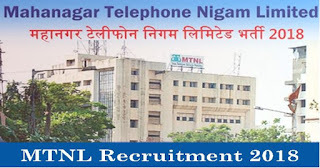 Jobs: (MTNL) Recruitment Assistant Posts 2018. (MTNL) Recruitment Assistant Posts 2018. 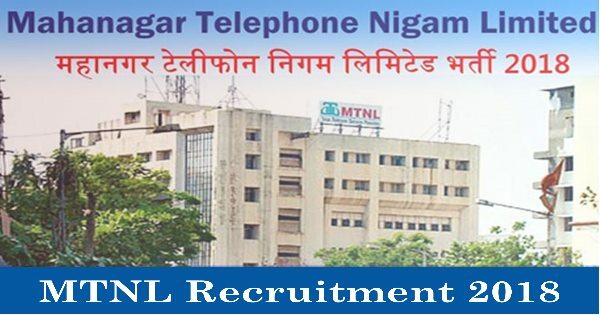 Mahanagar Telephone Nigam Limited (MTNL) Recruitment 2018 invites job application. This jobs is for the Assistant. Candidate from the New Delhi will apply for this job. This is a great chance for interested candidates. MBA/Graduation Pass for more details Please Check Official job link provided below. OBC Non Creamy Layer - 3 years. For general candidates 10 years. For OBC candidates 13 years . For OBC (NCL) / SC/ST/ - 15 years. Selection Process : Online Examination,based on the examination marks candidates will be short listed in the descending order of Merit .At second stage selected candidates will be called for Document Verification.